You know how they say that when you start spending time with people, you pick up their mannerisms and speech habits? Well, it's definitely true, and I'd argue it even extends to my style. After two years of working here at Who What Wear, it's safe to say that my style has been directly shaped by those around me: my ridiculously stylish co-workers. 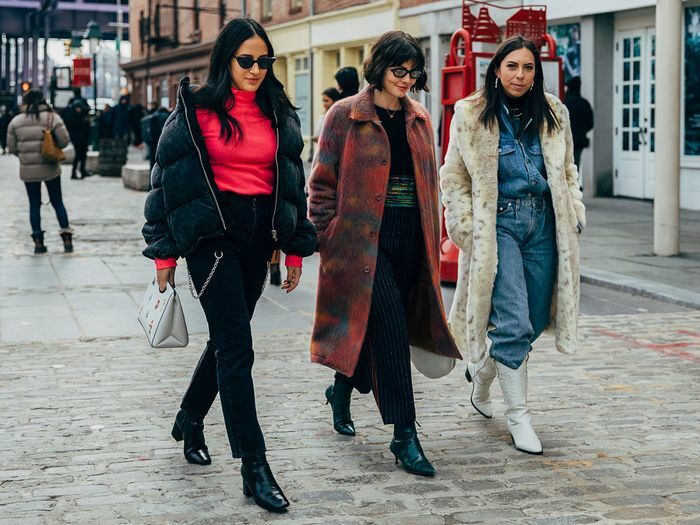 I'm constantly being introduced to new trends by the likes of Lauren and Nicole, novel and exciting ways to wear pieces I already own, and my knowledge of designers has grown exponentially. I spend pretty much all day looking at clothes online, but there's something to be said for seeing how other people whose style you envy actually style and wear items. And luckily, in this office, I don't have to go too far to find it, since these stylish women sit right next to me. Sometimes the inspiration is so literal and direct that I actually buy the exact pieces of stylish work clothing that they're wearing because they're just that good. So good in fact, that I also had to share them with all of you. Below I've put together a list of 11 pieces I bought solely because my co-workers already owned them. From belts and sweaters to bags and shoes I directly copied them, and, yes, I'm proud to say it. Keep scrolling to see and shop them below. Trust me, you won't regret it. 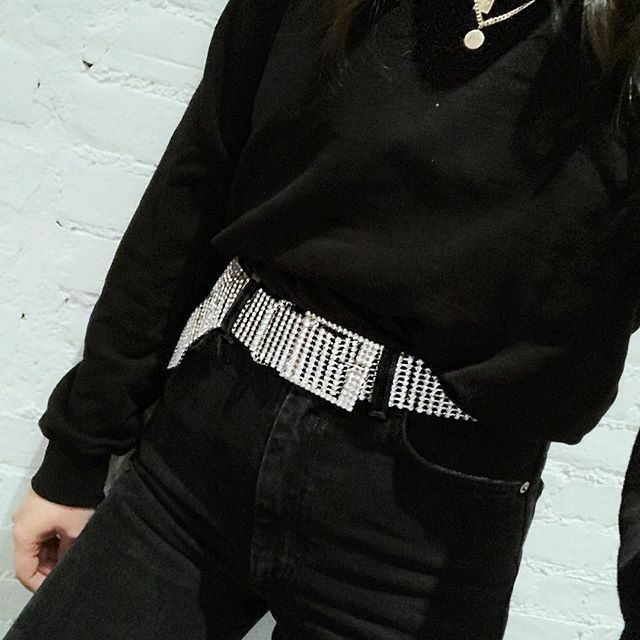 I never thought I'd wear a crystal belt, but I saw this outfit on Nicole and decided it was absolutely worth the purchase. Lauren and Nicole's fashion week looks are very on point, but the pieces I bought I plan to wear on their own. I'm big into the tie-dye trend and truly believe you can never have enough puffer coats in New York, so these pieces are perfect for me. I don't love bright colors, but I do pretty much love everything Anna wears. So I went ahead and purchased this because I saw she had it. Yep, that's how much I trust her. We've all seen this skirt everywhere, but Kristen makes it look especially fresh. I still wear mine regularly despite its popularity and actually ended up buying it in two other colors as well. I never knew I needed a PVC raincoat until I saw Nicole wearing this one. I get nothing but compliments on it every time I wear it out. It's truly just so unique. I love the mock-croc trend and these shoes and this bag were no exception. They're two of the main wardrobe pieces I wear these days and they're definitely worth the splurge. I haven't made this purchase yet, but I know I'll be pulling the trigger soon thanks to Nicole. By Far's bags are just as cute as its shoes. Definitely going to try the anti–skinny jean trend. Staud can do no wrong in my eyes. Another Ganni sweater I want? Duh. These jeans go with everything. Two crystal belts isn't overkill, right? Up next, how to tackle the neon trend if you're a low-key dresser.